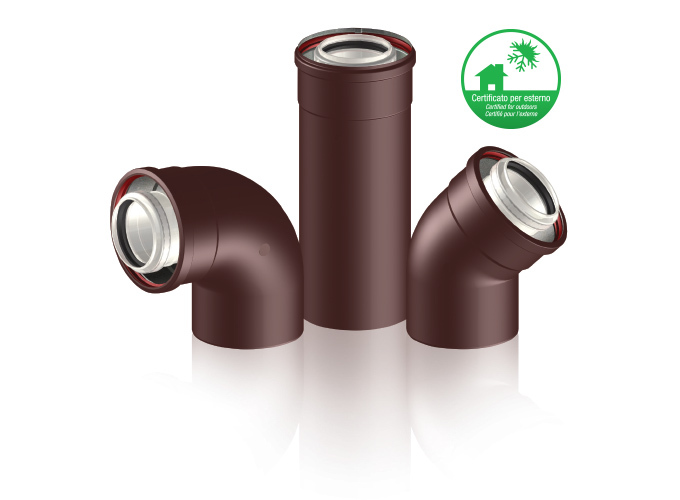 Conceived by our Research and Development Department, in order to realize a coaxial system suitable for being installed outdoors. STABILE M-PAC inside is polypropylene for the flue gases and outside brown RAL 8017 aluminum for the combustion air supply. STABILE M-PAC is the aesthetic and economic alternative to the traditional stainless steel chimney. 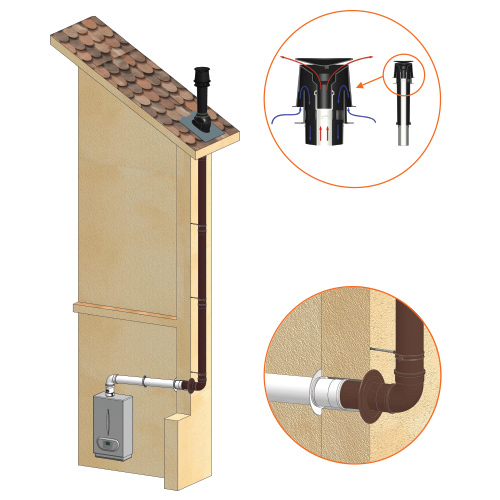 Extremely easy to install, devoid of locking bands and with outer weatherproof finish, the STABILE M-PAC system permits the realization of a chimney for domestic condensing boilers.